With new solutions for sheet metal processing, Bystronic, a leading global provider of high-quality solutions for the sheet metal processing business, takes customers to the top of the competition at the EuroBLECH 2018 in Hanover, Germany. 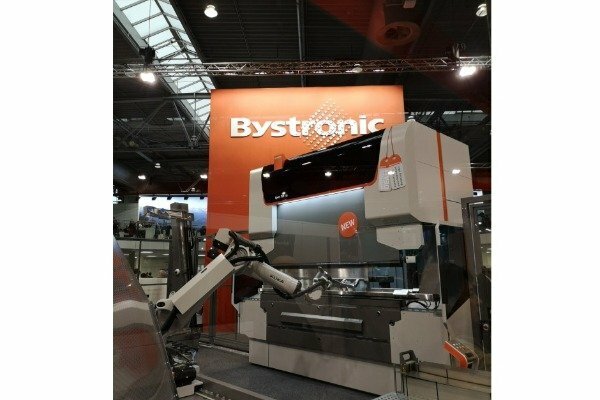 At the most important sheet metal processing industry event, Bystronic presented comprehensive innovations for all aspects relating to cutting, bending, and automation. 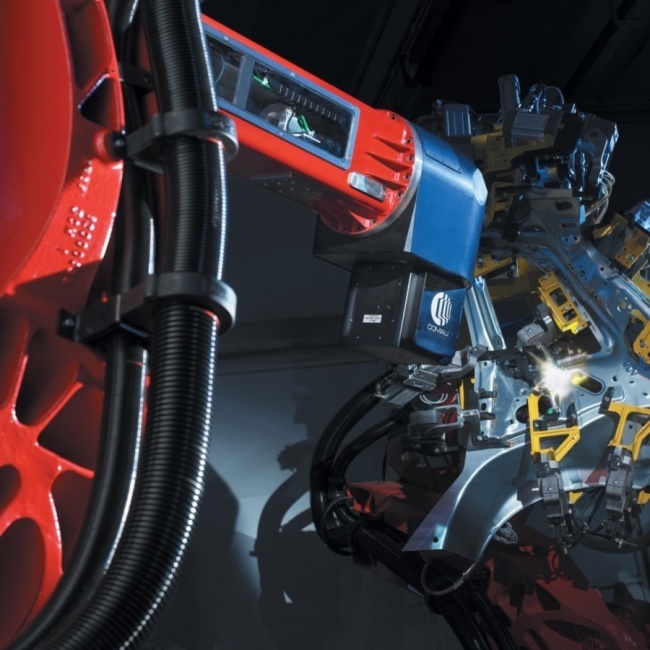 In the future, networked manufacturing processes, integrated automation, and digital service solutions will help customers to profoundly optimise the manufacturing of sheet metal products. Bystronic is systematically refining the vision of “World Class Manufacturing”. This is based on a comprehensive range of new technologies and services with which Bystronic is gearing its users’ process landscape towards networked production. In this way, Bystronic accompanies customers step by step on their path towards the smart factory. 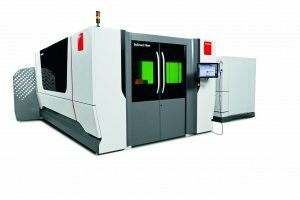 With the Production Line, Bystronic presented its highlight in terms of laser cutting automation. Within this fully automated manufacturing solution, sheet metal parts are pre-processed, cut, transported, and sorted according to orders. The heart of the Production Line is the ByStar Fiber laser cutting system. Powered by a 10kW aggregate, this is where the speed of the entire production process originates. The ByTrans Cross and BySort loading and unloading automation is connected directly to the fibre laser. It handles the entire material flow between the laser and the integrated storage system. The storage system supplies all the raw metal sheets required for the cutting jobs: steel, stainless steel, aluminum, and non-ferrous metal sheets in thicknesses ranging from 0.8 to 25mm with a maximum overall capacity of 24 tonnes. It also returns finished cut parts and residual sheets to storage. Bystronic presented a showcase at EuroBLECH to demonstrate a solution that will enable the Production Line to be expanded in the near future. ByFlex, an additional integrated system, drills holes and cuts threads into sheet metal parts prior to the laser cutting process. In addition, a labelling function marks the parts that are to be cut with a code. This allows all the information about the sheet metal parts that are being produced to be scanned in at the downstream processing stations. The Bending Cell automatically bends the cut sheet metal parts. For this, Bystronic expands the high-end Xpert Pro press brake with an agile robotics system. A 7-axis robot picks up the sheet metal parts that are to be bent, places them with high precision on the Xpert Pro for bending, and subsequently sorts them according to jobs. The Bending Cell can handle sheet metal parts up to 270kg. With high precision, the robot also automatically sets up the press brake with the appropriate tools. To achieve this, Bystronic has integrated a tool magazine into the Bending Cell that keeps a range of required bending tools on standby. Thanks to a maximum press capacity of 320 tonnes, the bending automation solution can process a wide range of sheet metal products. The Bending Cell is ideally suited both for the efficient processing of high-volume repetitive jobs and for changing lists of jobs with small batch sizes. The Bystronic MES is the navigation system for sheet metal processing. An intelligent software solution that helps users manufacture and ship sheet metal products with precisely defined costs and deadlines. The Bystronic MES determines the ideal path on which sheet metal products are guided through the processing stations for cutting and bending. This optimises throughput times and costs in the sheet metal production chain. And it helps users to perfectly attune all the process steps, machine systems, and workstations within their production environment. 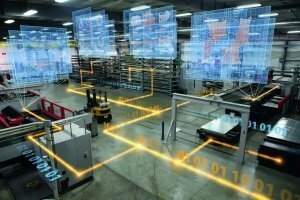 In the future, how will users control and monitor production lines in which automated production cells and individual machine systems are networked? With the Shop Floor Control System, Bystronic showcased a newly developed software solution at EuroBLECH. Networked with sheet metal processing stations, the Shop Floor Control System assumes the centralised control function and helps users to always maintain an optimal production flow. The system also provides information about potential bottlenecks or downtimes within the production line. This enables scheduled production times and delivery deadlines to be adhered with a high degree of reliability. Bystronic projects promising prospects for fibre laser cutting: With 12kW, the high-end ByStar Fiber laser cutting system will soon feature a new performance level. This will boost the profitability and speed of the cutting process right up to sheet thicknesses as high as 30mm. This will provide customers with an almost unbeatable competitive edge in the competition for jobs. In order to optimally integrate the higher laser power into the cutting process, Bystronic has rigorously enhanced the design of the ByStar Fiber’s cutting head. Thus, users always achieve outstanding cutting results in a wide range of materials. The new generation of BySmart Fiber is already available now. Bystronic has fundamentally redesigned the entry-level solution for fibre laser cutting and expanded it with numerous features. The result is a versatile cutting system with up to 6kW of laser power and matching automation solutions. Thus, Bystronic is opening up the full potential of fibre laser technology to users in growth industries: high parts output, a broad spectrum of applications, and automation for optimised material handling. APMEN’s exclusive interview with Norbert Seo, Bystronic’s Senior VP Market Division Asia & Australia. By Ahmad Alshidiq. We have many new features on Industry 4.0. We have the full set of automation solutions with integrated software which allows you to combine automation with intelligent systems to monitor production schedules, machine status as well as to analyse the storage. Vietnam is our main market in Southeast Asia. We established our new demo centre in Ho Chi Minh last year. We call it the “Experience Center”, where we placed a laser machine and one bending machine. Malaysia market is looking interesting as well and we are looking at investing more in the country, in Thailand as well as Indonesia. Business perspective is quite uncertain, however, we are looking at the demand of our customers and monitoring closely on where is necessary to expand our products and technologies. We are launching a new series of BySmart Fibre from 2kW to 6kW which gives a lot of opportunities to the high-sensitive market. We are also attending seven exhibitions and are having five in-house shows in 2019. 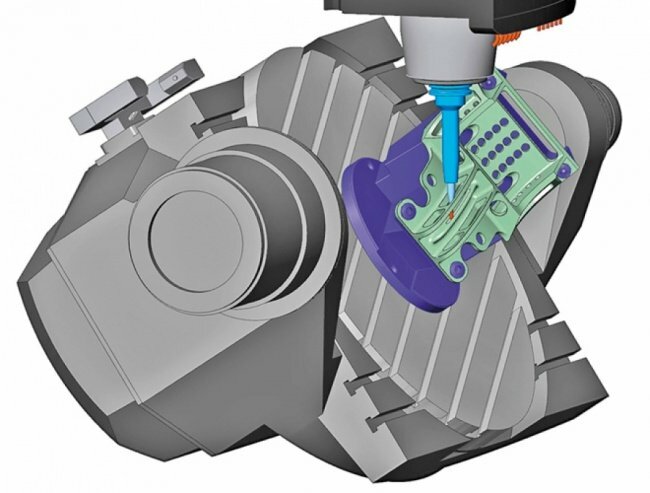 Automotive manufacturing, given its complexity and volumes, requires the use of efficient, high-volume processes which can guarantee productivity and quality.